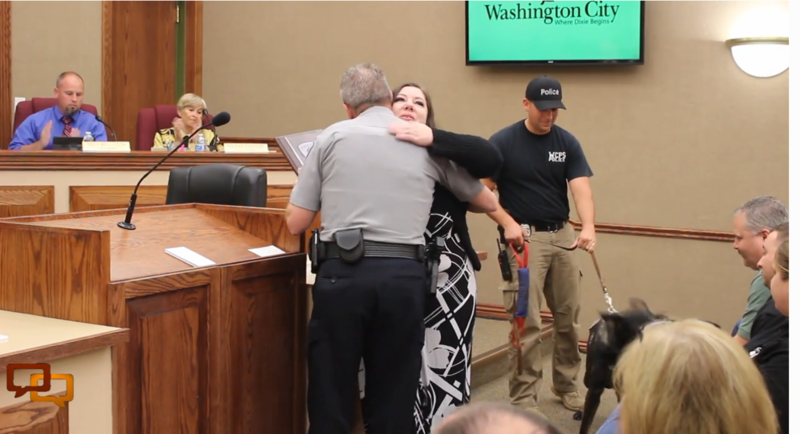 WASHINGTON CITY – The nonprofit group Havoc K9 was recognized and honored by the Washington City Police Department during a City Council meeting Wednesday for the donation of Tank, the city’s newest K-9 police officer, who joined in the recognition ceremony. Together with his handler, Officer Ryan Erickson, Tank, a 15-month-old German shepherd, sat at the back of the council chambers while waiting for the meeting to start. Tank was donated to the Police Department in December 2015 when he was just a little over a year old. Before then, he was being trained and cared for by the staff of Havoc K9. 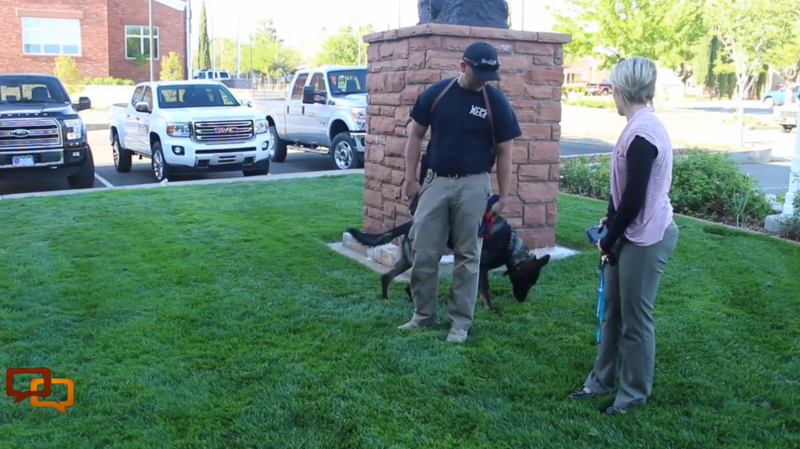 When Ricki Draper, the director of Havoc K9, and other members of the Ogden-based group arrived at the City Council chambers, Tank began to whine and jumped as he recognized them. “As you can see, the dog still has good relations with his old handlers,” Washington City Police Chief Jim Keith said. After Tank was given to the police, he and his handler were sent to a certification course for handlers and narcotics training that they both passed at a high level, Keith said. 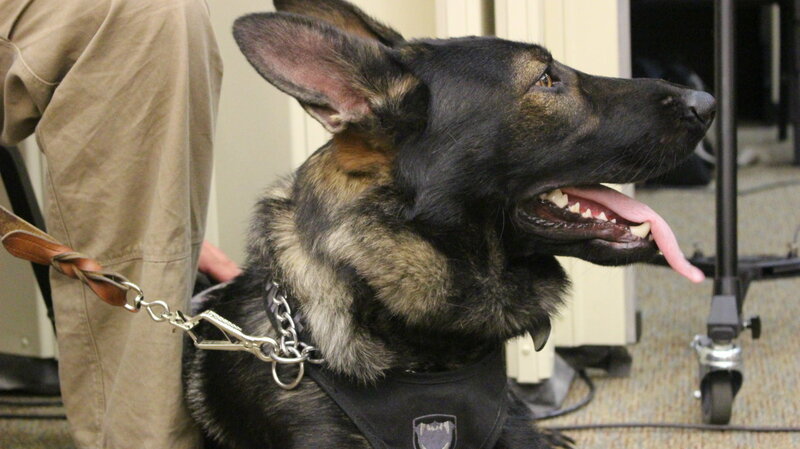 Though the dog has begun to do some narcotics work, he is still young and will continue to train in additional facets of police work for at least another year. To show their gratitude for the donation, Keith presented Draper with a plaque and thanked her group for the work they put into training Tank before delivering him to the Police Department. Without Havoc K9’s donation it is unlikely the city would have been able to afford a second K-9 officer, Keith said. Havoc K9 is a volunteer nonprofit group that raises dogs from birth and trains them for about a year before they are eventually donated to law enforcement groups or other first responder-related agencies.